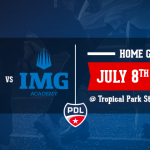 We are proud to be the FC Miami City Champions official PDL team for 2015. A Premier Development League franchise in the city of Miami is another strong example of how our city and region continue to provide opportunities for local players to develop, in an ultra-competitive market. The F.C Miami City Champions transforms each athlete into champions for the future, on and off the field by offering them a true visibility in the U.S. but also in Europe. 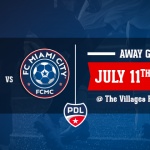 “We are very excited to bring a Premier Development League team to Miami,” said Ravy Truchot President of FC Miami City. 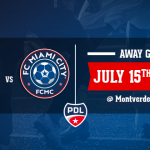 “The collaboration between F.C Miami City Champions and the PDL will help to bridge the gap between the youth development programs already established in US Champions Soccer Academy and the professional teams represented by the F.C Miami City Champions, and we believe our stadium at Florida International University will become a destination for soccer fans for many years to come.” Truchot said. This is just getting started. In a couple of weeks we will announce our tryout for the 2015 season. Stay Tuned! NIKE is our new partner for 2016!